Thank you so much! I just got back from vacation, and realized I needed to read something urgently for work the next day. However, my daughter or wife must have put a password on the computer, locking me out! 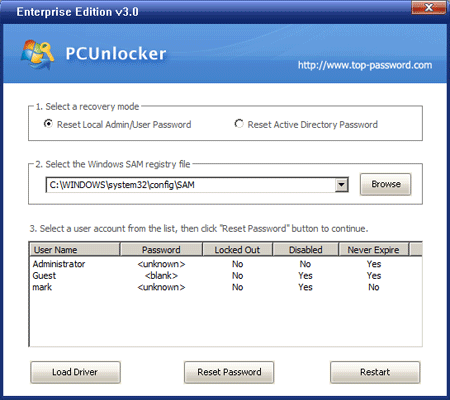 Fortunately, I was able to use PCUnlocker to quickly reset the password on my system, allowing me to login again. Just wanted to let you know how well PCUnlocker worked for me. These days we have so many passwords and my memory just isn't what it used to be. I just couldn't get the combination right and was really worried since all our family finances are on our computer. I was finally able to get in after using your PCUnlocker product. Thank you, thank you!!! You've really saved the day for me.